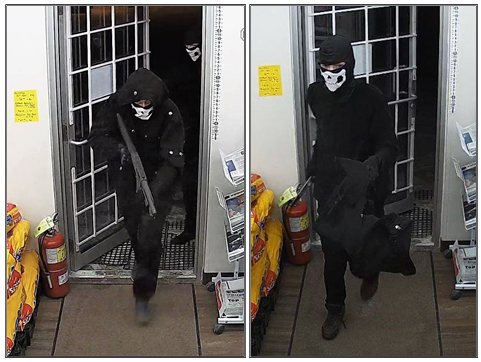 On Wednesday, January 10th at about 8:30 pm, the two suspects pictured above entered the Ste. Genevieve General Store. One of the suspects had a firearm while the other had a large knife; they stole cash, liquor, and cigarettes. Anyone with information about this incident is asked to call the Steinbach RCMP Detachment at (204) 326-4452 or submit a tip.